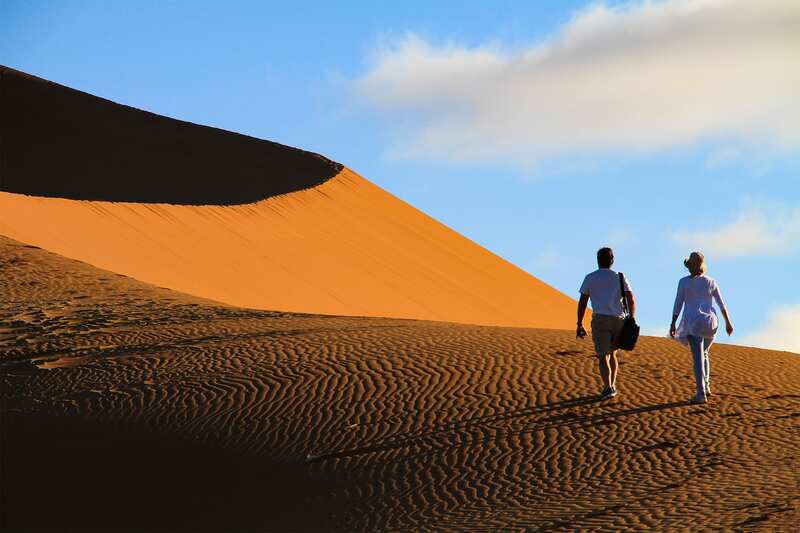 You’ll visit the world’s highest sand dunes, and step foot in the world’s oldest desert. Visit Namibia's most renowned National Park, Etosha. With a plethora of wildlife this 3 day safari is designed to offer a quick “snapshot” of this amazing region. You will be accommodated in lodges on this guided 3 day safari. Today you will be met at your accommodation in Windhoek between 8:00 and 8:30am. We will start our journey heading south-west, along scenic roads as we cross the Eros Mountains. As we continue our journey, your guide will give you insight into the landscape and history of the area, particularly the ancient Naukluft Mountains. Today we are heading down from Namibia’s central plateau through the Remhoogte pass, and as we do, the landscape will transition into open plains and vast grass savannah. 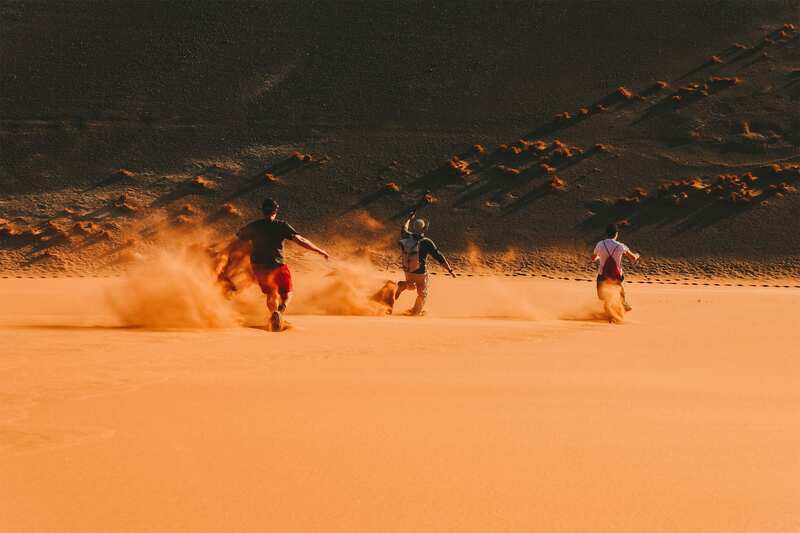 Soon, rising from the desert floor, we will be met with the immense and impressive red sand dunes of the Namib desert. 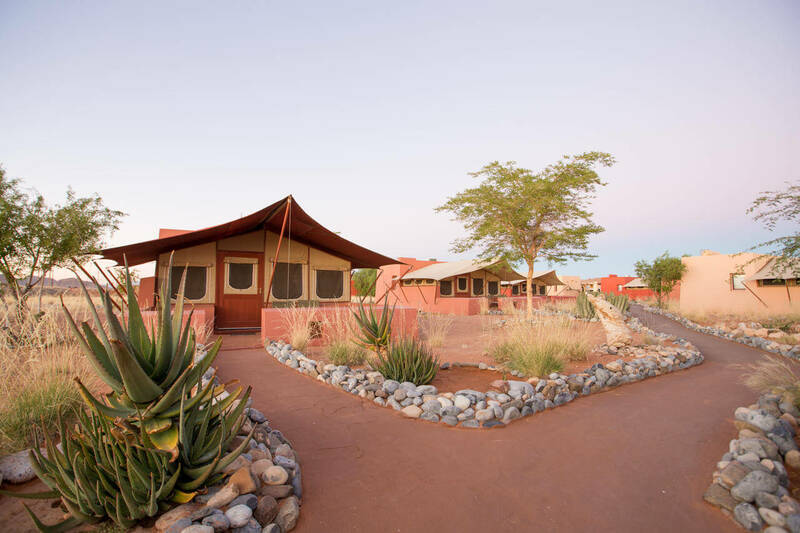 We aim to arrive at our lodge in the late afternoon, in time to check in and take in the changing colors of the African sunset. Catching the morning sunrise on the sand dunes of Namibia is something most people will never experience, and today we are lucky enough to rise early to capture this epic moment for ourselves. We will drive through the gateway of the dunes, Sesriem, into the heart of this otherworldly landscape. 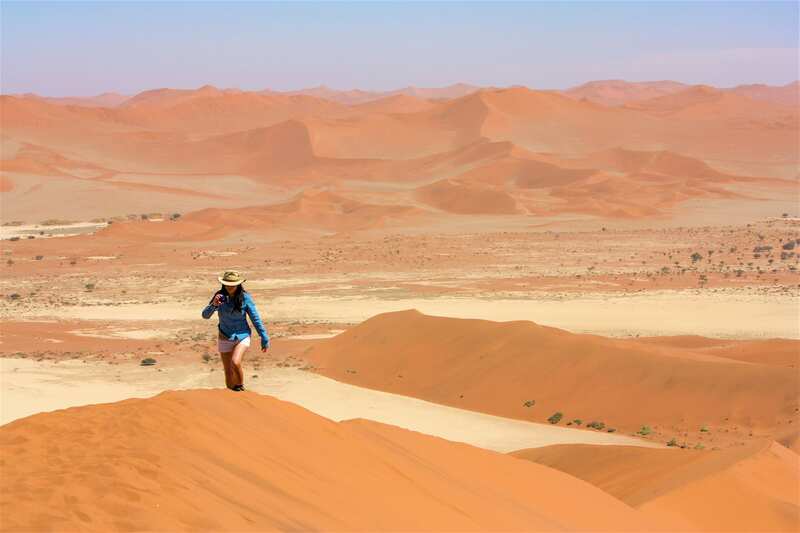 To reach Sossusvlei itself, we will walk about 5km through the dunes, and epic once in a lifetime experience. 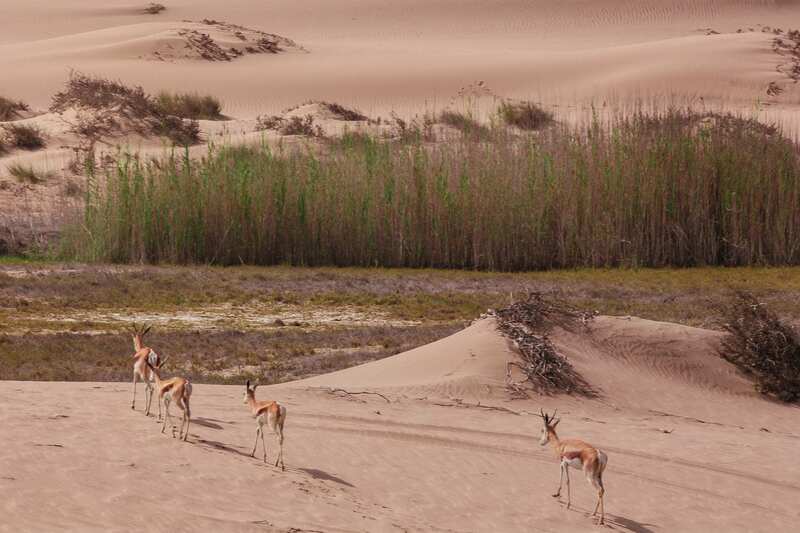 Keep your eyes open and camera ready for camel thorn trees, gemsbok or maybe even an ostrich. 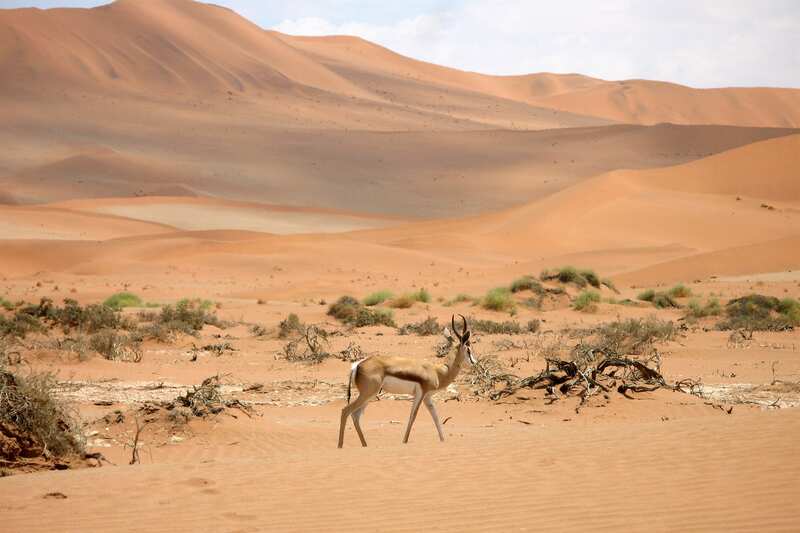 We spend the morning in and around Sossusvlei, also visiting Dune 45. 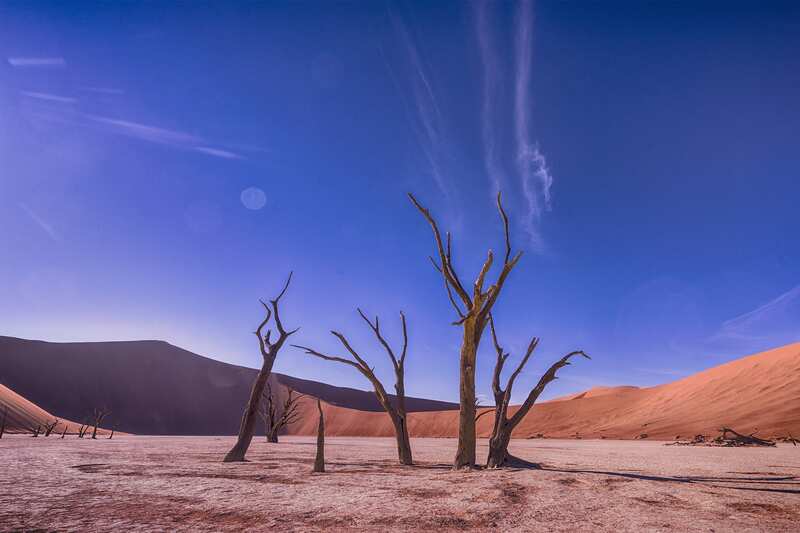 The clear, radiant blue sky contrasts with the red dunes of the Namib Desert, creating a once in a lifetime photo opportunity. 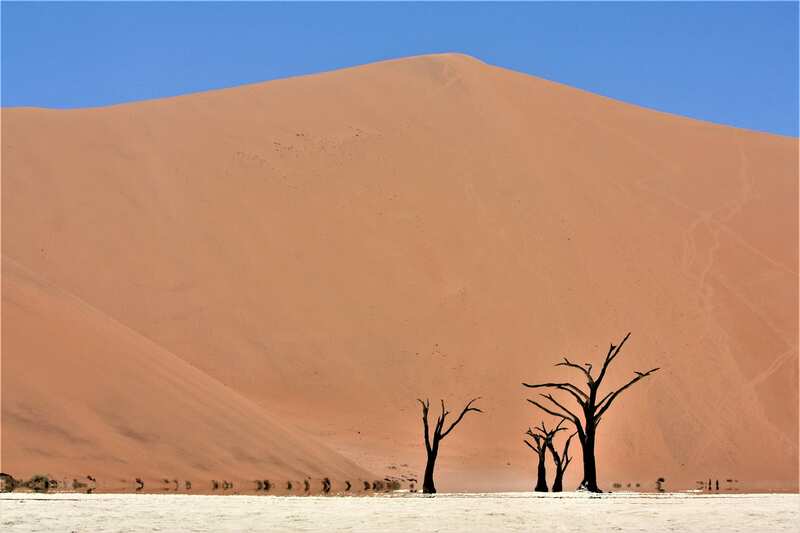 Adding to the opportunities for otherworldly photography, we will also visit the Deadvlei pan today. 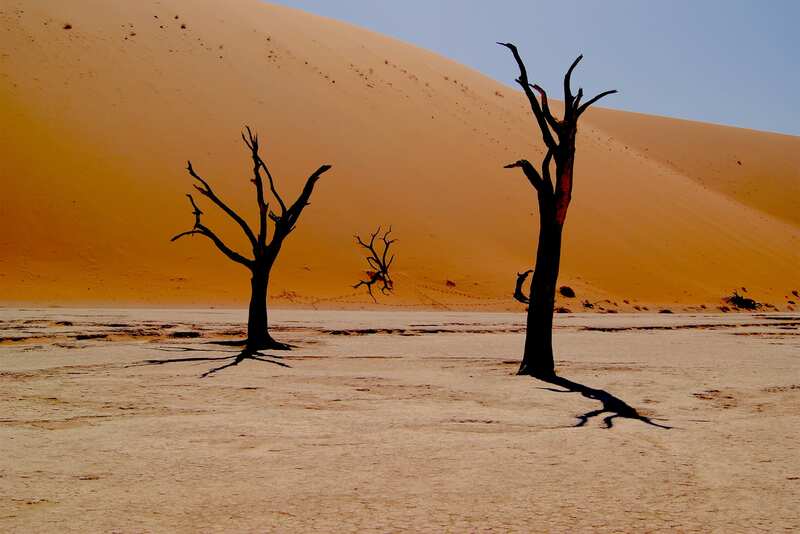 Deadvlei was once a fertile desert clay pan, though over 900 years ago it began to dry after encroaching sand dunes cut it off from the Tsauchab River. The trees that lived within the dwindling marsh eventually died, and though centuries have passed, they have yet to decompose due to the climate of the area. 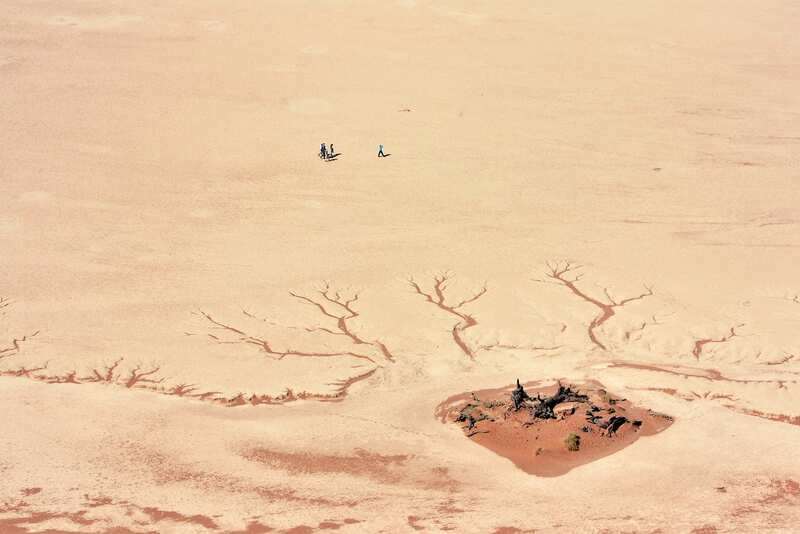 The result is a spindly, dark forest of 1,000-year-old trees,set against the orange and red dunes and white flats. This is truly is one of the most surreal sights you'll find in Africa and the world. As the afternoon approaches, we return to Sesriem for lunch to escape the heat. As the cooler air of the late afternoon greets us, we will take a short excursion to the Sesriem Canyon.Sesriem Canyon is a deep chasm, carved through the rocks by water, and is a striking natural feature of the area that is best explored on foot. This is simply an incredible location to round out our day, and we will return to our camp in the late afternoon. Return to the lodge for the overnight. Today we will begin our journey back to Windhoek, after a leisurely breakfast at our lodge. We will be taking a different route to head back, ascending the massive Gamsberg pass, offering a variety of new sights along the way. We will arrive in Windhoek in the late afternoon or early evening, and you will be dropped off at your accommodation.